Specially designed for Android devices, the card reader can display images from your memory card to your phone. View images and videos your camera(s) have taken right on your Android device. Save time and trouble by easily viewing your images right on the spot. ..
View images and videos from your Stealth cam on your Android or iPhone. View trail cam images on your OTG (On The Go) Android Devices; Apple iPHone or iPad via FREE PHOTOFAST APP; Standard USB connections on PC, Mac, or Tablet Connection: Micro USB; Lightning; USB; USB 3.0 Compatible card types: SD / SDHC / SDXC / MMC/MMC 4.0 / Micro SD / micro SDHC / micro SDXC One USB 2.0 hub CE / FCC / RoHS Standards Includes adapters for both micro USB and Lighting plug for use with cases..
Stealth Cam Memory Card Reader. View images and videos from your Stealth cam on your Android or iPhone View trail cam images on your Android smartphone or tablet with USB-OTG functionality. 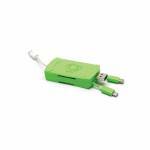 Connection: Micro USB; Lightning; USB Compatible card types: SD / SDHC / SDXC/ MMC/MMC 4.0 / Micro SD / micro SDHC / micro SDXC One USB 2.0 hub Supports - OTG (On The Go) Android Devices; Apple iPHone or iPad via FREE PHOTOFAST APP; Standard USB connections on PC, Mac, or Tablet CE / FCC / ..
View images and videos from your tail camera with ease! Use this card viewer to quickly and easily check your SD cards, perfect for checking cards in the field or on the go. The bright and crisp viewing screen lets you see your images and videos in full color, with audio!. Use the rubberized buttons to view your images and videos and delete unwanted image in the field saving precious time and card space. 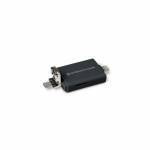 The rugged design of this product ensures years of dependable use, so you can see what your ..
Don't wait until you get back to camp to check your memory card. 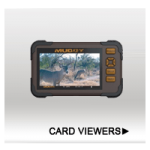 Plug it into the Trail Pad Handheld viewer and get instant gratification on the pictures your game camera took. Handheld media viewer for in-field use Review photos and play back videos on SD card Format SD card in settings Compact, lightweight design Heavy-duty, water-resistant housing Touch screen and push-button navigation Zoom in/out functionality Easy-access trash button to ..